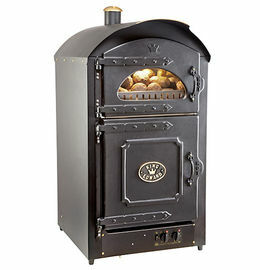 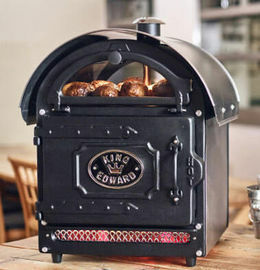 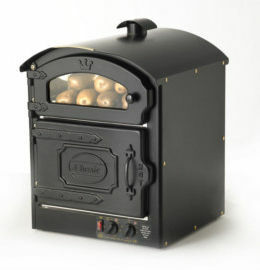 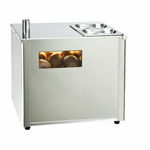 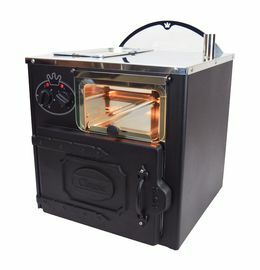 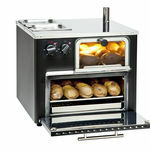 The Compact Lite potato oven aims to please when it comes to economy & style. 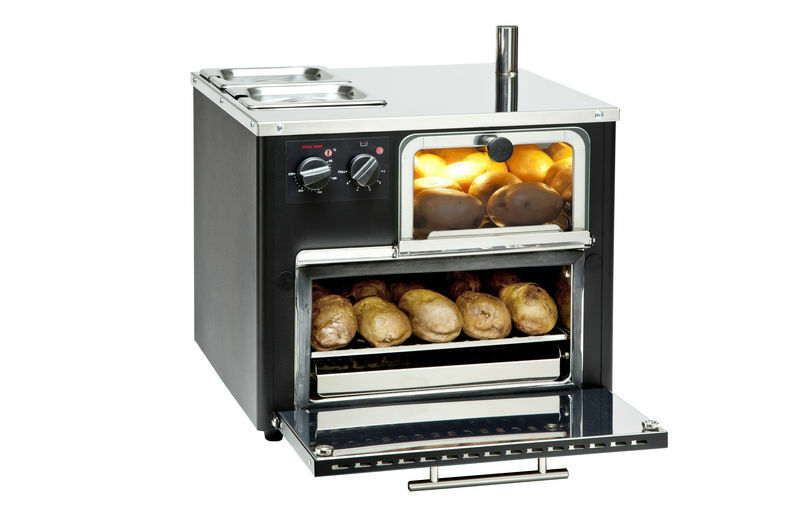 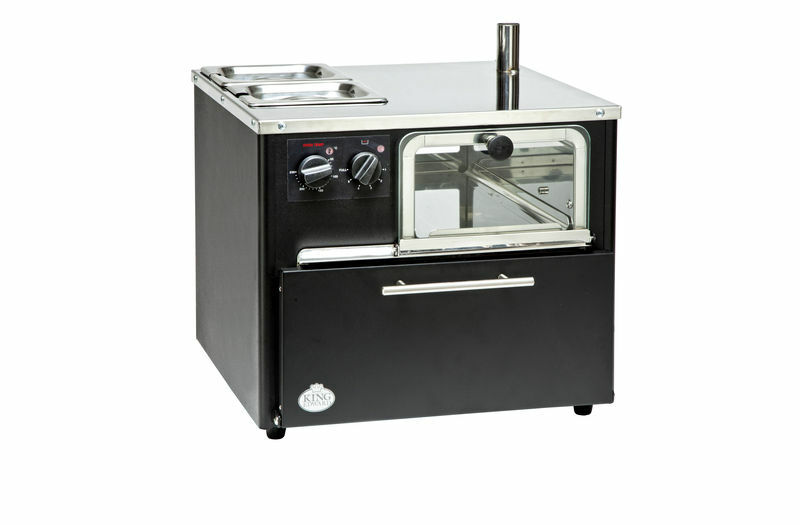 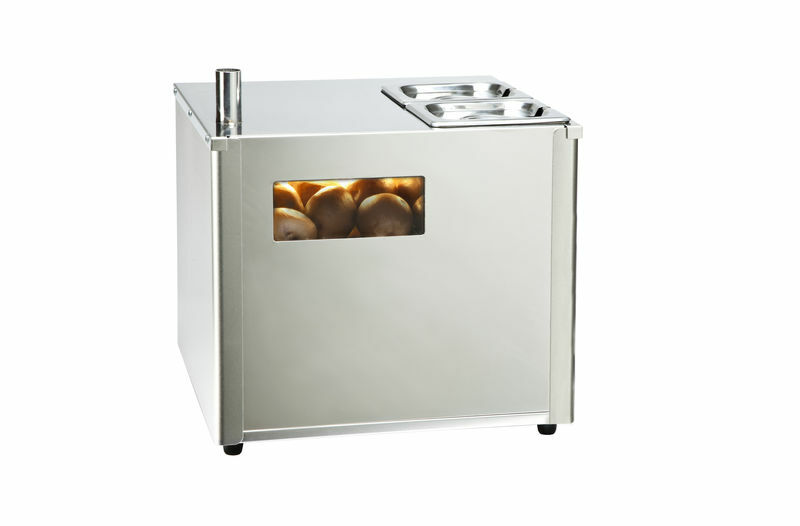 With up to 30 potato capacity, integral 2-pot Bain Marie and illuminated display area this value for money oven will be ideal for those food service operators looking to cook small batches of potatoes as well as other foods. 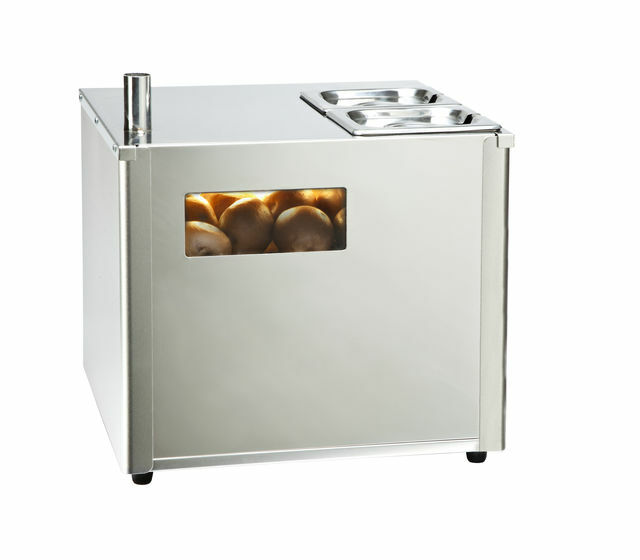 Available in either epoxy powder coated black finish, or a more modern looking stainless steel this smart unit will grace any décor or theme. 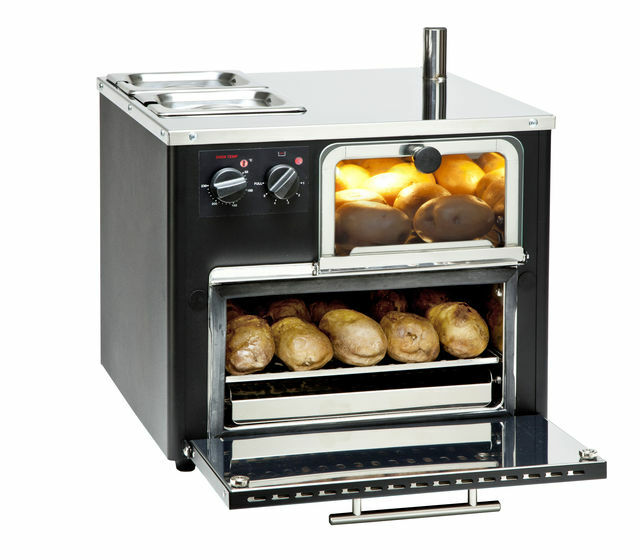 Simply add hot or cold toppings to your jacket potatoes and see your profits soar. 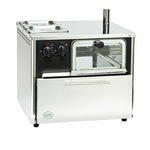 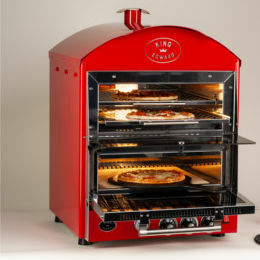 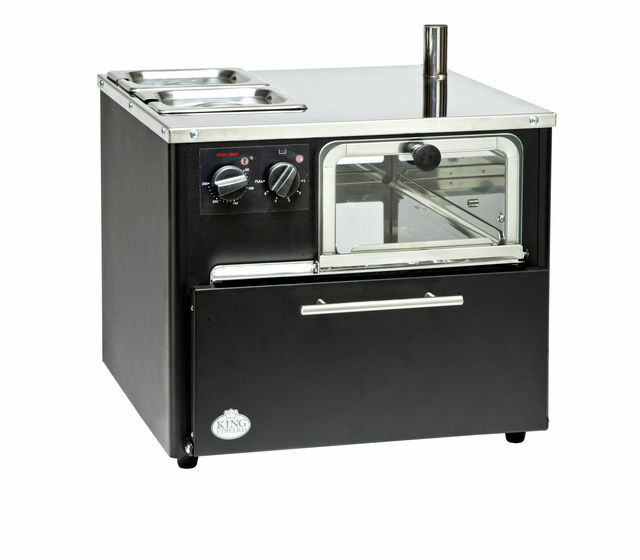 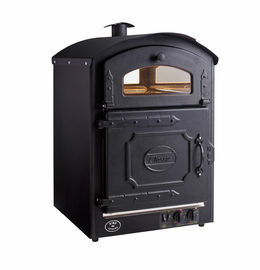 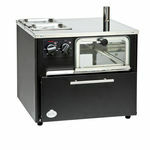 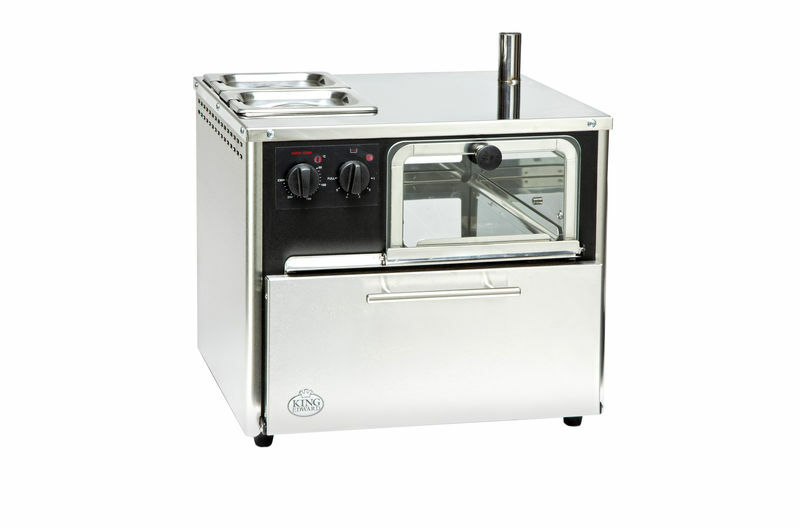 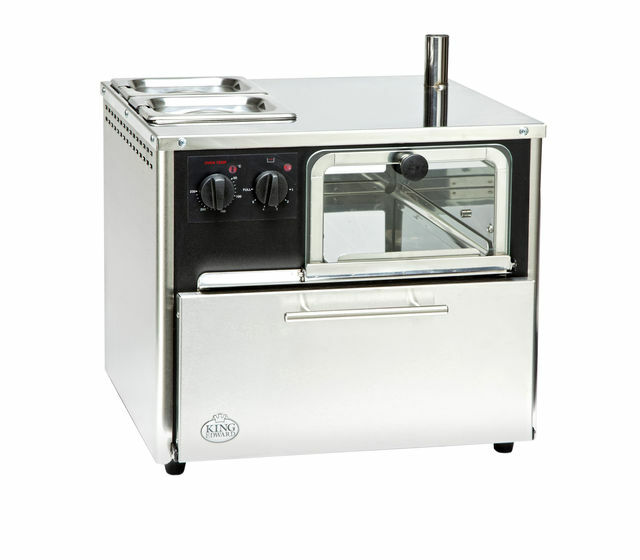 See a 360 degree view of the Compact Lite oven on the King Edward Youtube Channel.